Posted on August 8, 2018 by Whole U. This entry was posted in Staying Healthy and tagged Raise the Bar, Staying Healthy, Summer Spotlight. Bookmark the permalink. 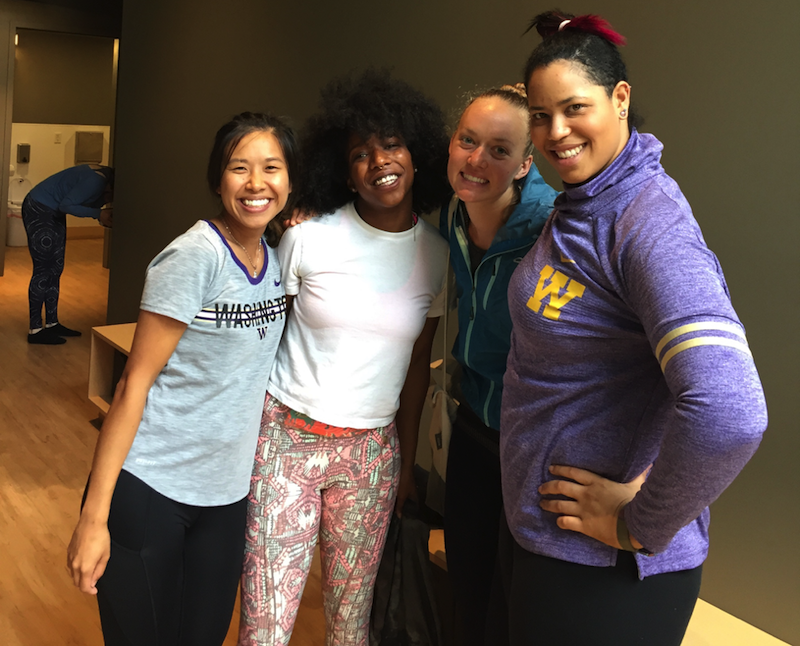 UW made waves in Week 4 of Raise the Bar—rounding out a creative, connection-filled first month of our summer challenge for fostering wellness in the workplace! (Don’t miss the items from Week 1, Week 2, and Week 3). What did Week 4 hold in store? Let’s find out! Way to get it done, Team LoKB! Check out more photos from the Raise the Bar Kayak/Canoe Outing. “Sometimes, no matter how important my goals are to me, it’s a struggle to bring my best effort to my workout/exercise—or work up the motivation to make it happen. But whether I’m trying to lose weight, train for a race, keep my stress in check, or any of the other worthwhile reasons to make fitness a part of my life, staying consistent is key, even when I really, really don’t feel like it. How has the challenge changed the way she looks at life? We cropped this photo for size, so you’ll trust us that the wall above them reads, “You’re only one workout away from a good mood.” True words! Shane McDowell, technology manager for IT Operations checked in for the UW-IT Techies team, reporting that their wellness slack/chat channel was helping with motivation and story sharing. Team-supported individual acts toward health and self-maintenance go a long way! Shane said the most frequent reports were of early morning running, gym work outs, yard work, meditation sessions, and healthy eating, but other activities had included home-brewing Kombucha (pictured below), moving a cast iron bathtub (pictured below), and replacing the timing belt on a VW Beetle (because, why not?). 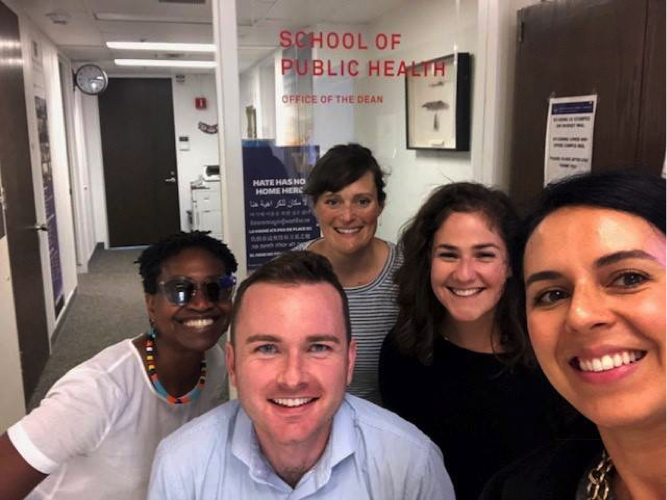 Juanita Ricks, director of Program Operations for Student & Academic Services at the School of Public Health, sent in this photo of the OD Dream Team after day seven of their team Squat Challenge with the caption, “Feel the burn!” That’s how you know a workout is working! 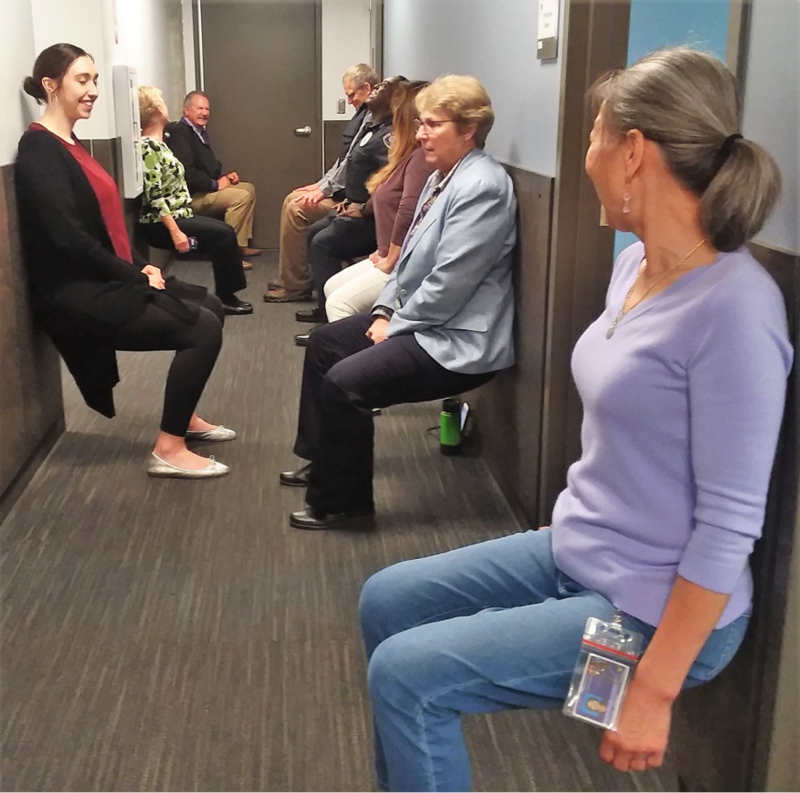 Major Steve Rittereiser of UWPD reports that since the Raise the Bar challenge began, their Wall Sit group has tripled in size! Wall sitting primarily builds isometric strength and endurance in glutes, calves, quadriceps, hamstrings, and adductor muscles. To do a basic wall sit, stand against a wall and slide your back down until your knees are bent at a 90 degree angle. Make sure your thighs are parallel to the ground and your knees do not extend past your ankles. Shoutouts to (clockwise from left) Karly Kern, Karen Erickson, Steve Rittereiser, Doug Schulz, Officer Gabriel Golden, Wendy Matsuyama, Cheryl Price and Sue Park as well as (not pictured) Sherri Vansickle and Robyn Riley! Thanks to all for their efforts toward another inspiring week! Check out our upcoming events for more opportunity to be active and stay healthy at work this summer. 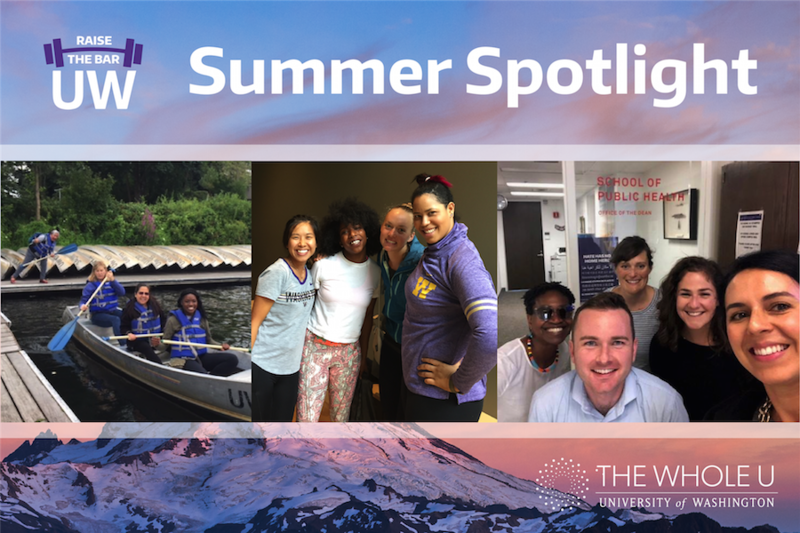 We’ll continue featuring your stories of developing healthier, more positive work environments in this space throughout the summer as you continue sharing them with us at wholeu@uw.edu. We also encourage you to join our Whole U Being Active Facebook group to post photos and reflections or share via Twitter and Instagram using the hashtag #raisethebaruw. Special thanks to our Raise the Bar sponsors: UW Medicine, AT&T, US Bank, BECU, and UW Resilience Lab!